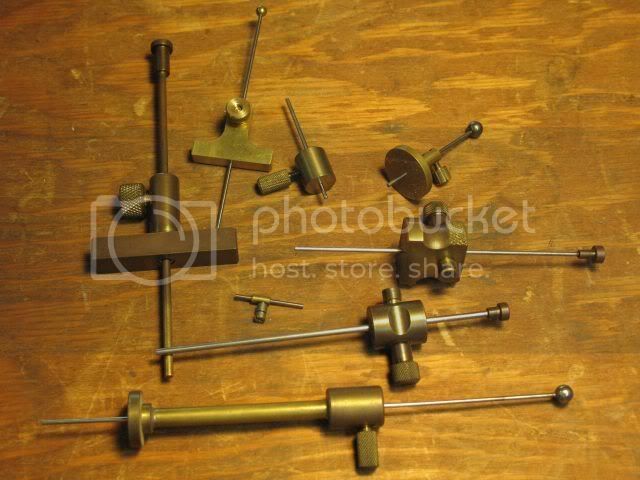 On a previous post I showed my collection of specialty depth gages. 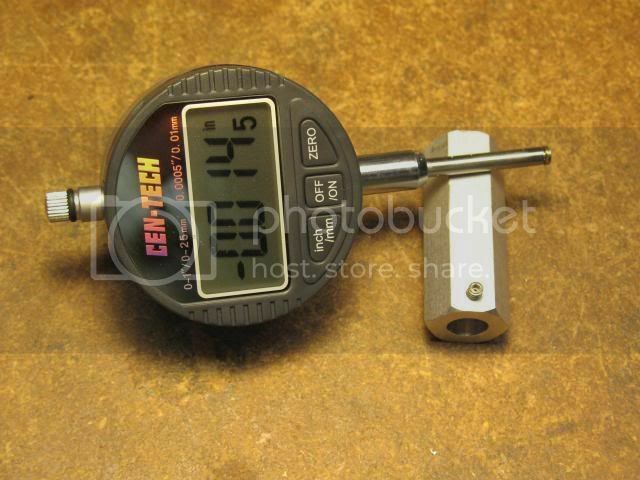 None of these are calibrated so one has to measure the extension of the beam with a separate tool. 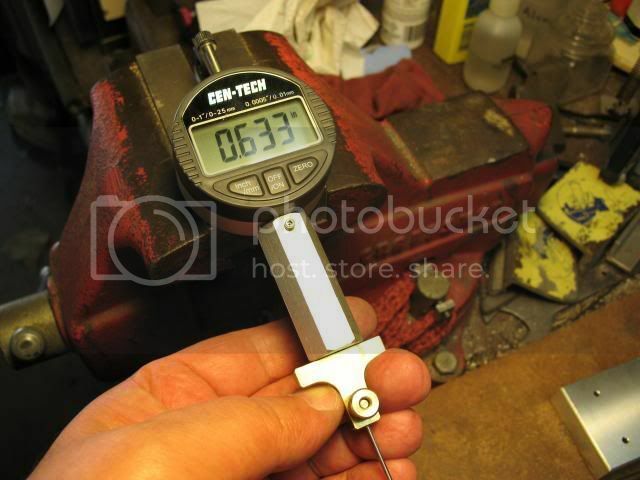 Fiddling with calipers is tedious and can be a bit inaccurate in this application. 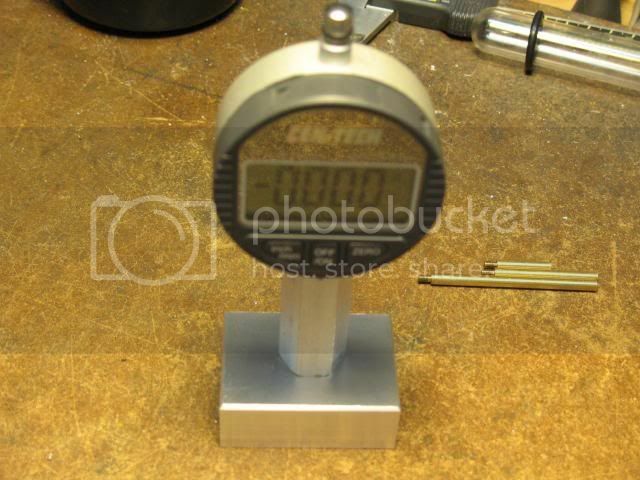 To solve this problem I constructed a depth gage reader. A slug of aluminum is drilled out to slip over the shaft of a 1" DI. A nylon-tipped set screw locks it in position. The as-supplied ball tip of the DI has been replaced with a flat-tipped one turned from brass. In use, the sleeve is adjusted so that the DI tip projects just slightly (a few thousandths is enough) beyond the bottom of the sleeve. Then the device is set on a flat surface so the DI tip is now flush with the bottom of the sleeve. At this point the DI is zeroed. Now, after using the depth gage to make a measurement, it's just a matter of poking the DG rod into the sleeve hole until the DG base sits flush on the bottom of the sleeve. At this point the DI shows the extension of the DG rod - the depth.